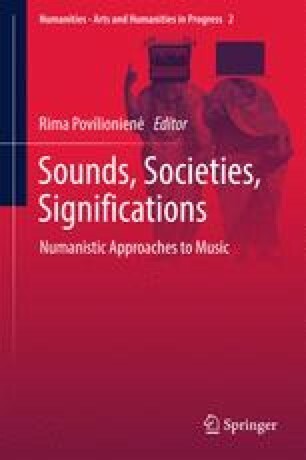 The aim of this article is to share the author’s inquisitive interest in architecture and music correlations, focusing on their aesthetic, interpretive and pedagogical implications. A symbiosis between both fields could suppose the dawn of the interdisciplinary Numanities: Musitecture. The architectural distinction between content and container, such as Louis Kahn’s form and design, draws challenging analogies with musical meanings and signifiers, according to a semiotic approach. While architecture’s raw material is space, music builds with time—both dimensions often overlapped as exposed by the theory of relativity. Thus, space is temporal; time, spatial. Musitecture introduces spatiality into musical time and temporality into space perception. Focusing on El Albaicín by Spanish composer Isaac Albéniz, the article depicts a constructive principle latent in both disciplines: contrast between opposites, conflict as the inner creative spark of an architectural place or a musical discourse. Interaction turns into a masked opportunity where thresholds become a fertile land for ambiguous and complex mélanges, in which an organic discourse can grow out of its intrinsic parts—organs. Motion, momentum, ecstatic, static, hypotactic, paratactic, temporal, timeless are results of a musitectonic approach through spatial temporality and narrative. Palmese, Cristina and José Luis Carles. 2005. El lugarenmúsica y arquitectura [Place in music and architecture]. Scherzo 193: 126–128. http://www.scherzo.es/hemeroteca/2005-01-193.pdf. Accessed 15 July 2016.